I am addicted to trade shows because it is a great way to meet people who enjoy conducting face-to-face business meetings. The tradeshow industry has allowed me to shake hands or at least be in the same hall with some of the biggest names in film, televisions, sports and politics. With the Licensing Expo taking place at the Mandalay Bay this week I could not help but feel a bit sad with the absence of one of the most gracious men I have ever had the chance to meet in person. 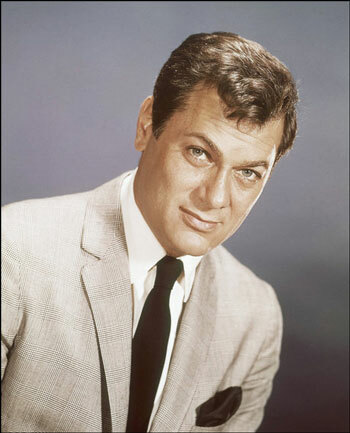 Tony Curtis had been one of Las Vegas most popular residents but he was more than just and actor. He was an author and artist as well. Although a bit frail during the last few years of his life he continued to make public appearance. 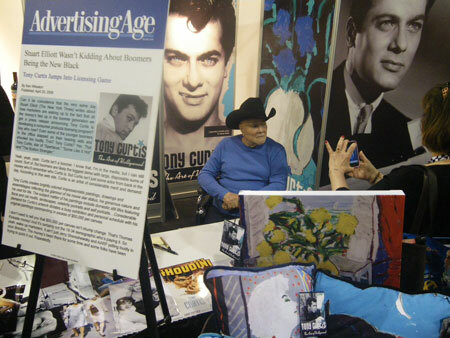 He was a regular celebrity at the Licensing Expo held every year in Las Vegas. As ill as he may have been he still managed to show up to promote his artwork, sign a few autographs and say hello to his fans. Unfortunately, last year was his final appearance at the Las Vegas trade show. Curtis, the son of a Bronx tailor and star of such films as “Sweet Smell of Success,” and “The Defiant Ones,” passed away Sept. 29 of last year. He was 85. I enjoyed watching him sitting in his wheelchair, talking with his fans and still able to flirt with the many women who waited in line to get an autograph, a kiss and a photo with the American film actor. I was in awe of him because I had always been a fan of his films. “Some Like It Hot” is one of my favorite films. I liked all of his films and I have tried to watch as many of them as I could. For years I thought he was Harry Houdini until I began to understand what films were all about. I even liked his guest appearance as Stoney Curtis on the Flintstones cartoon series. That episode debuted in 1965 but I caught it in syndication in the early 70s as a youth growing up in Los Angeles. I know his presence at Licensing Expo is missed. There is an empty booth where he would have welcomed attendees to his table. I did managed to say hello to him while taking his photo at the show bit I could never get close enough to shake his hand. Although his brand is not include with the list of exhibitors at this year’s show, hopefully his brand will return to the show so that a new generation of fans can continue to become acquainted with Curtis. John Wayne, Elvis and Jim Morrison are still popular draws for fans so I am sure Curtis will always have his following.